I’m on holiday this week, so do not be surprised if there is no post on the 23rd September. Because I’m ON HOLIDAY. 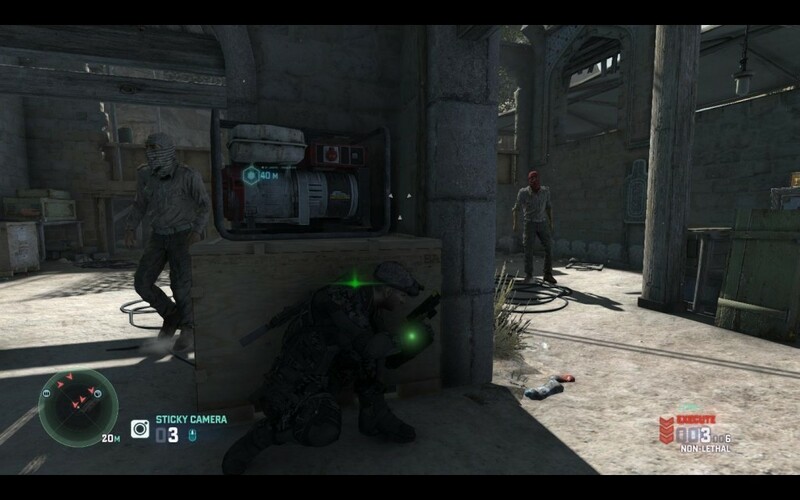 Splinter Cell Blacklist can be viewed in one of two ways. On the one hand it’s a surprising return to form after the series nadir that was Conviction, remembering its roots as a stealth-based game and fusing it with Conviction’s movement tweaks to produce what might be the best stealth experience I’ve played in many years. On the other hand Conviction was so terrible that Splinter Cell could only go up from there, and I found myself constantly questioning my judgement while playing it: was Blacklist genuinely a good game, or was I simply so starved for a game that did stealth properly that I was prepared to accept what is, past those stealth-based elements, a very unpleasant game in terms of both tone and story?